At any one time, there are an estimated six billion boats bobbing on European waters, and nearly one fifth of them are sailboats. While watching them glide along the horizon may be a romantic sight, it is often easy to forgo the amount of waste produced by sailing. A boat changes its sails every six to eight years, producing up to 50 square meters of material waste. The onus is then on individuals and sailmaking companies to limit the amount they send to landfill. That is where Camilla Morelli’s company, Camoz, comes into play. 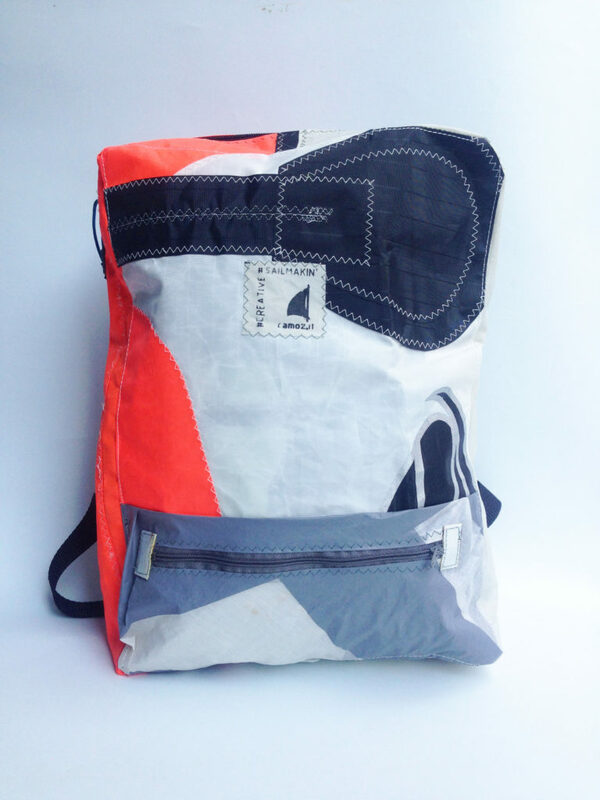 Camoz recycles old sails and sail cloth scraps to create bags and accessories, reducing the amount of sail waste that goes from sea to sea of trash. Morelli does not just run a business involving sailing — she is a sailor herself. Despite growing up in the mountains, Morelli fell in love with the sea at a young age. She and her family spent summer holidays in Croatia, where she watched people sail around the bay, hopeful for the day when she could join them. At 17, she took her first month-long sailing trip to Greece and has been finding ways to be back at sea each year since. After graduating from university, Morelli participated in a program in Venice to restore wooden boats. It was here that she mastered the art of sailmaking. 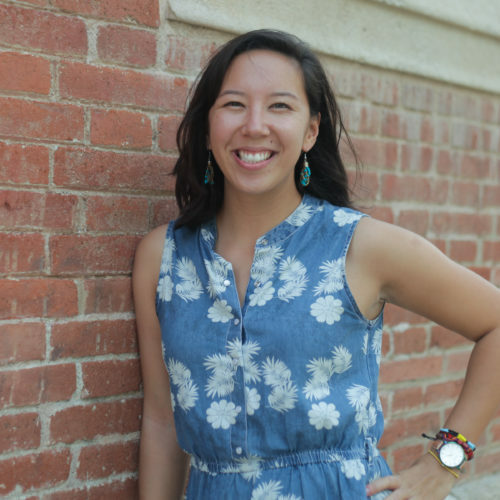 In 2010, she had the opportunity to move to a sailmaking company in La Rochelle, a small marine community in Southwestern France. That company was much larger than the one in Venice: 60 people sat crafting sails, lengths of fabric unfurled on huge tables lined with sewing machines. This was when she first realized the amount of waste that could be produced in a sailmaking loft. 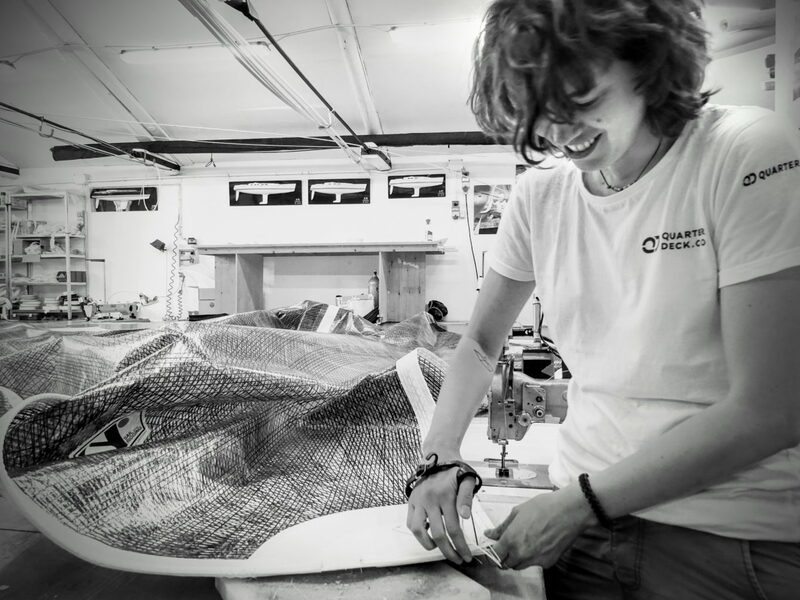 The sailmaking loft in La Rochelle was also where she had the first chance to make bags from sail cloth waste — an act motivated by necessity as much as creativity. At the end of February 2010, Mother Nature delivered the workshop a violent blow. Cyclone Xynthia slammed the coastal community, flooding the town and leaving the sailmaking loft buried under more than a meter of mud and seawater. 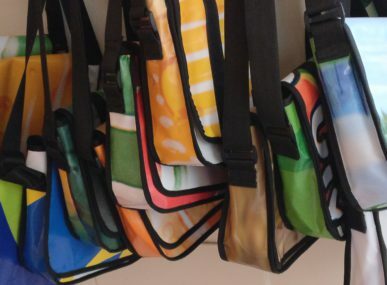 It was not difficult for Morelli to shift from sewing sails to making bags. The one obvious difference is that accessories have much smaller dimensions, but Morelli does the construction on her same industrial sewing machine. And while sailcloth was created for sailing, turns out it is not bad for fashion, either. Camoz’s website has a page dedicated to materials, including swatches of dacron, kevlar, taffeta, and carbon, fabrics that are functional for sailing and also interesting in their texture and color. 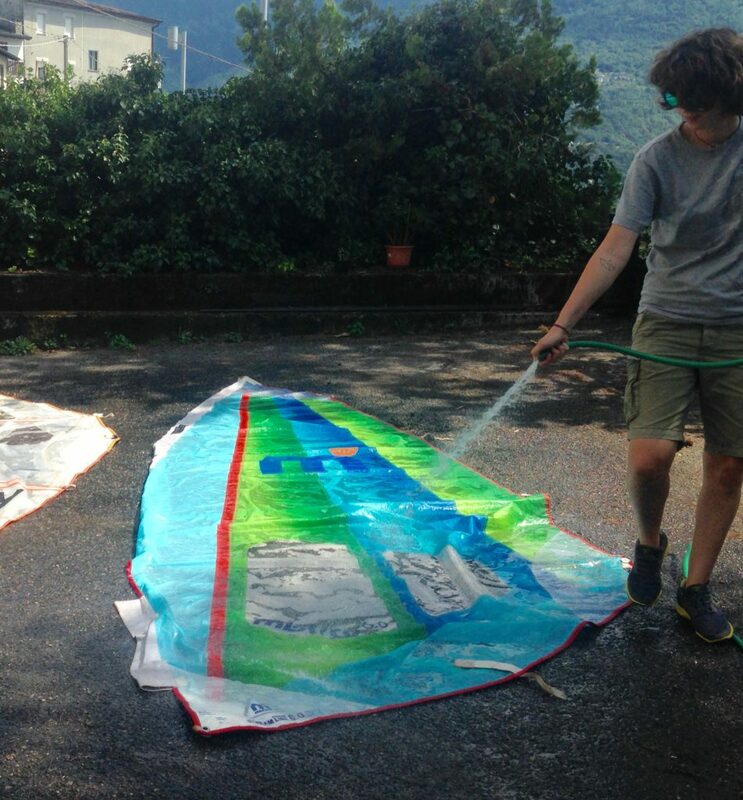 “The sail cloth is very light, but [it is] strong and durable,” Morelli explains. 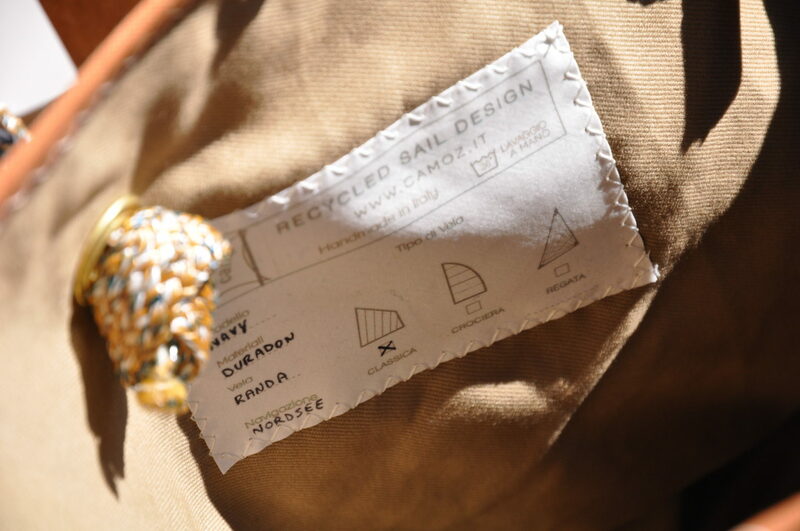 These materials make up the core fabric of Camoz’s bags, with the occasional featuring of upholstery from an old boat chair or the bag used to wrap the sail. 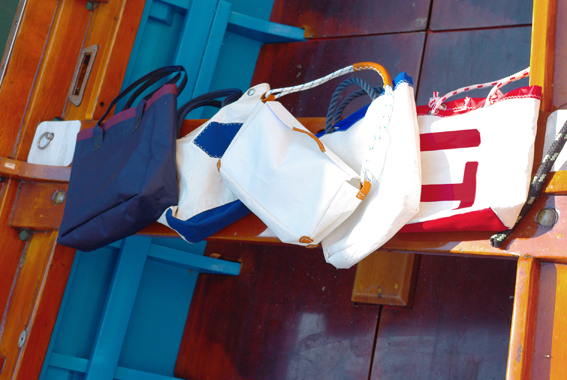 The result is unique bags and wallets with a distinctive nautical chic. Morelli incorporates elements like rope straps and ties to pay further tribute to the bag’s beginnings. The company’s name is a combination of Morelli’s first name, Camilla, and “oz” the acronym for ounces, the unit of measurement used to weigh the fabric of a sail. Here is another measurement: 385 meters; the current amount of sail cloth Morelli and her company have saved from a landfill. 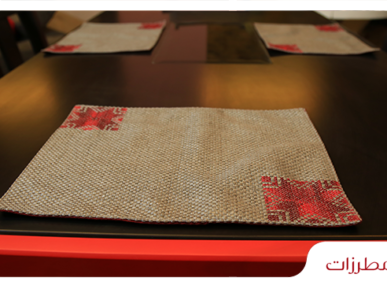 While 50% of the material used for Camoz’s products come from unused sail cloth, the other half comes from old sails. 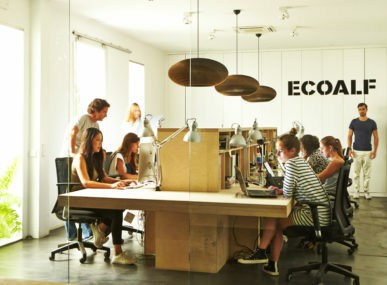 A study estimates that at least 80,000 boats reach the end of their life each year, leaving their hull and deck, rigging, and sails to be dismantled and, in the ideal world, recycled or upcycled. Unfortunately, this happens with only 2.5% of the boats. That means a lot of old sails, and an ocean of waste. Looking at Camoz’s online shop, one may notice a few color bursts that look too bright to come from a ship’s sail. That is because Morelli has started to tinker with kitesurfing sails, and brought back a colorful suitcase full after a recent trip to the Canary Islands. She also accepts donations of these sails. “For people it is waste so, they do not mind donating,” Morelli says.